Price for 1. You have to contact me before making purchase. 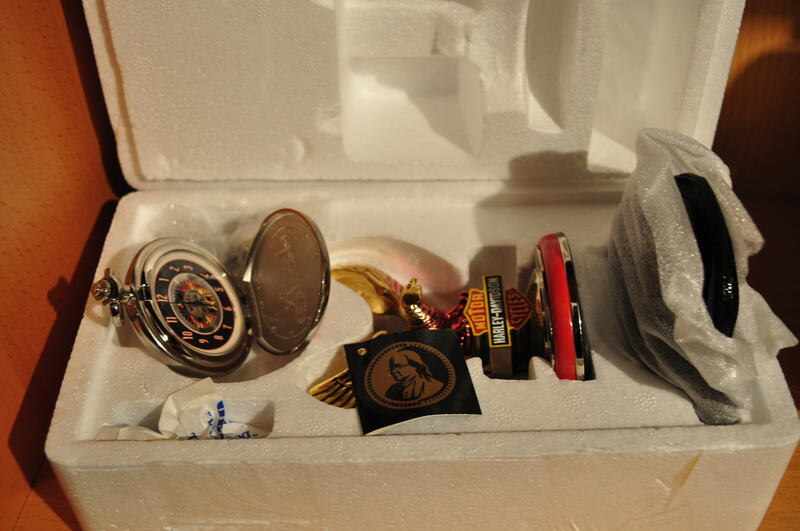 Collection of 6 Franklin Mint Pocket Watches. Buy as a lot or individually. Shipping in included. Matching bikes available for some watches at an additional cost. Additional images is available on request. Price for 1. Asking prices include shipping. Save on multiple. You have to contact me before making purchase. For your buying pleasure collection of Franklin Mint Pocket Watches from Motorcycle theme. 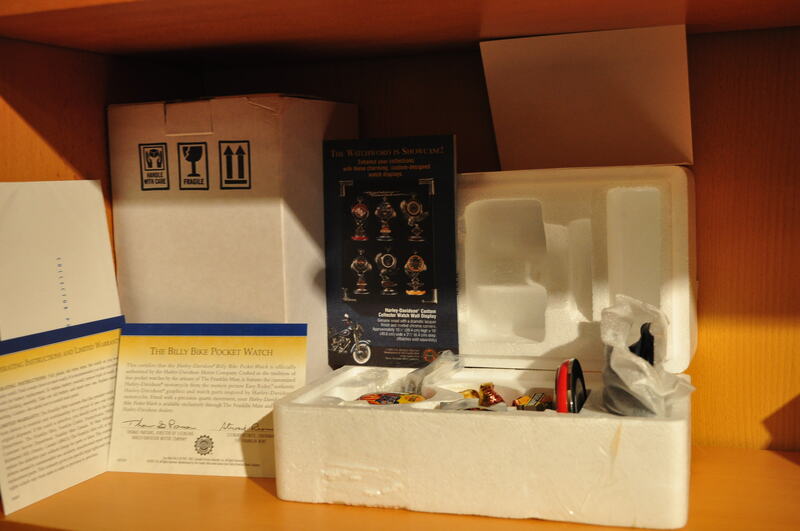 Each watch comes with the original display stand. Place them on display and enjoy it now or put aside for future as an investment! For some of the watches I have matching 1-10 scale bikes. Not included in this sale, please contact me if you are interested. Condition – watches are per-owned. look very nice. please see comments specific to each watch. Price includes shipping. Each watch is heavy, so not a trivial expense. SOLD #1. 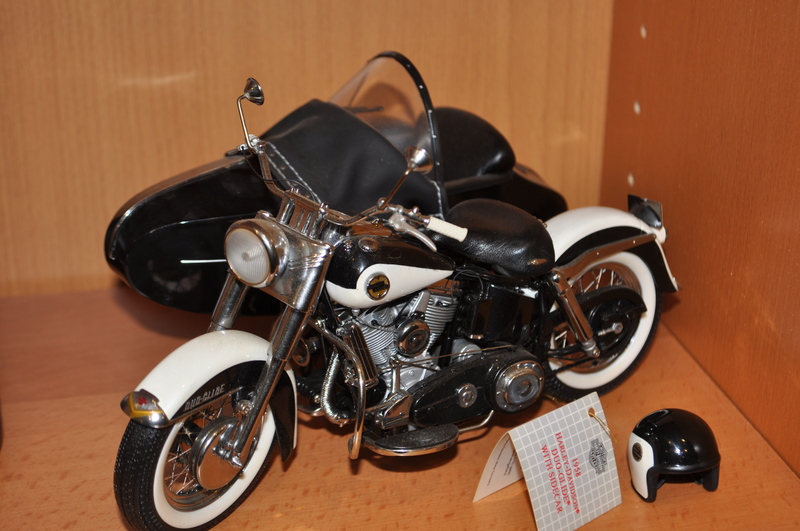 Harley Davidson Heritage Softail Classic – $145 – new battery was installed; observed for 48hr – the watch kept time. Includes – chain, tag, pouch. Like new. SOLD #2. Knucklehead – $125 – new battery was installed; Observed for 48 hrs – the watch kept time. Includes tag. Like new. #3. 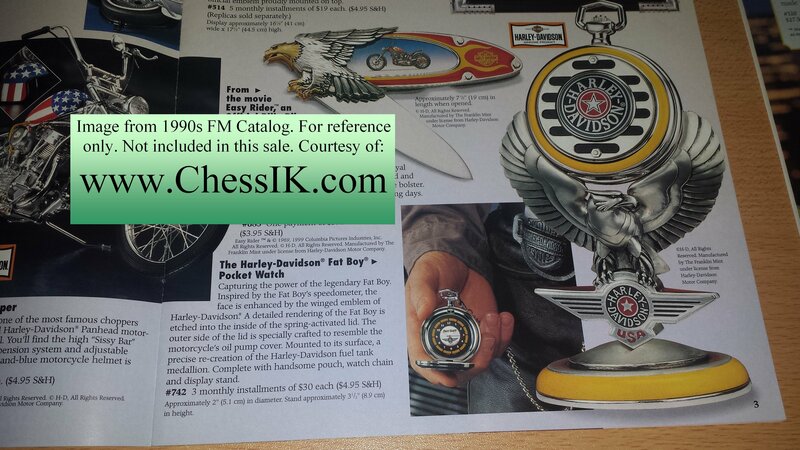 Harley Davidson Fat Boy – $115 – new battery was installed; observed for 48hr – the watch kept time. Includes – chain. Like new. #4. Harley Davidson Sportster – $115 – new battery was installed; Observed for 48 hrs – the watch kept time. 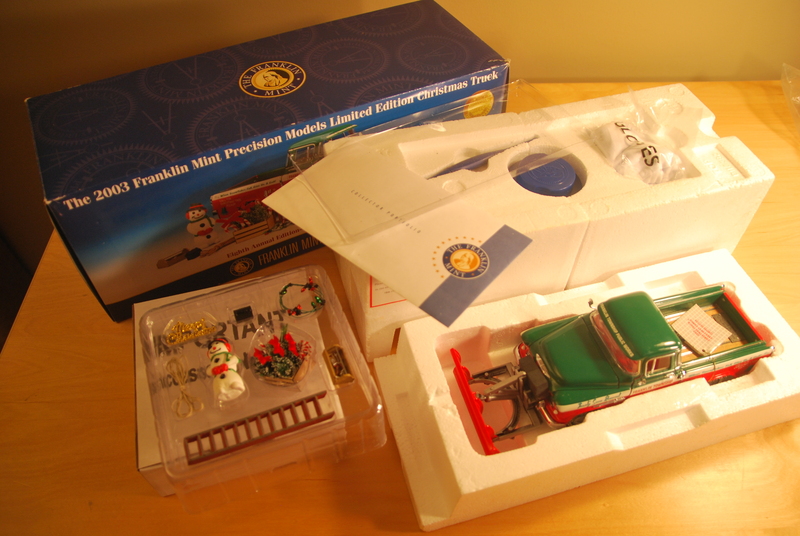 Includes – chain Like new. #5. 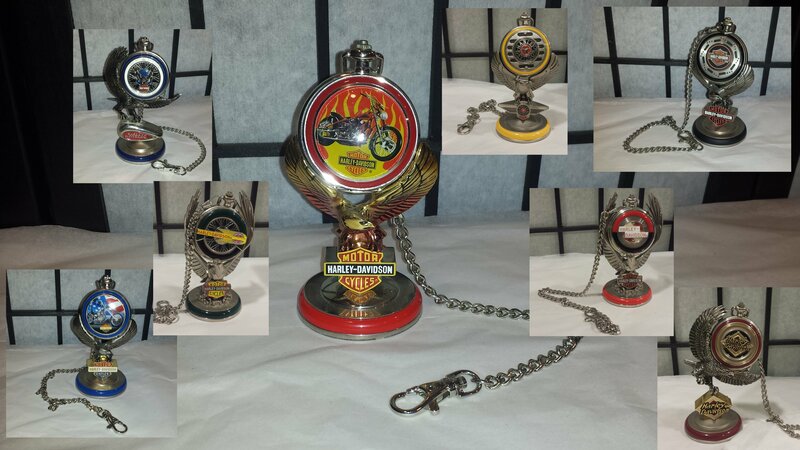 Harley Davidson Heritage Springer – $95 – new battery was installed; Observed for 48 hrs – the watch kept time. Includes – chain. Like new. Common to this model – stand might be a little loose where Eagle connects to the base. #6. 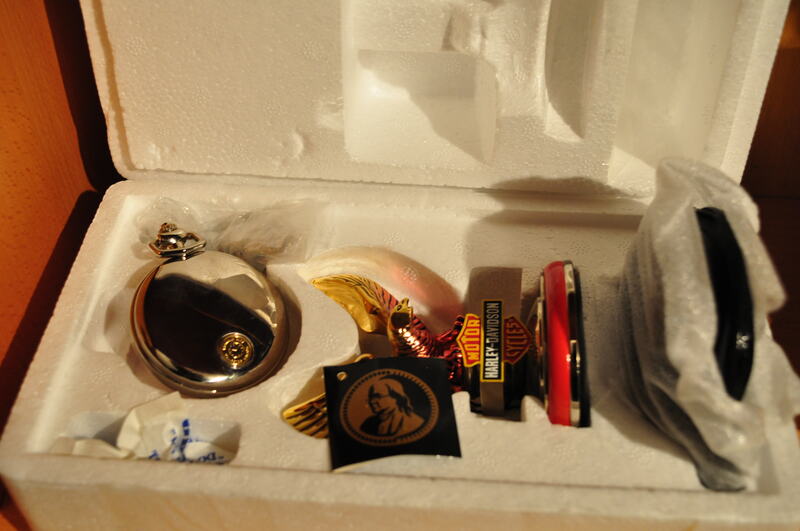 Harley Davidson Electra Glide – $115 – new battery was installed; Observed for 48 hrs – the watch kept time. Includes – chain. Like new. Common to this model – stand might be a little loose where Eagle connects to the base. #7. 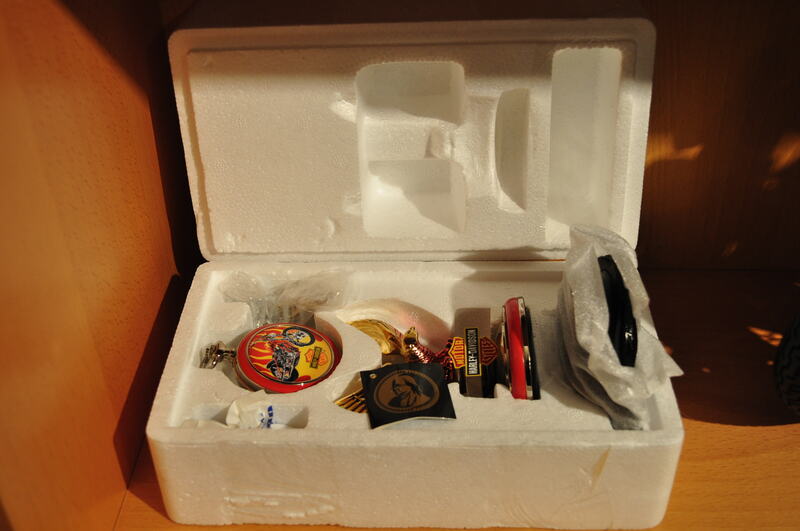 Ultimate Chopper Captain America – $165 – new battery was installed; Observed for 48 hrs – the watch kept time. Includes tag. Like new. #8. Billy – $165 – new battery was installed; Observed for 48 hrs – the watch kept time. Includes tag. Like new. #8A. 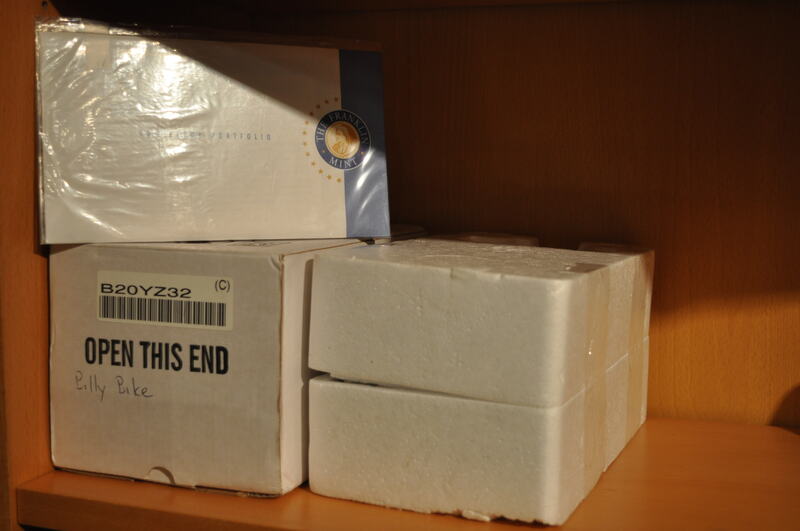 Billy – $225 – New in Box. Complete with Papers, New battery was installed; Observed for 48 hrs – the watch kept time. 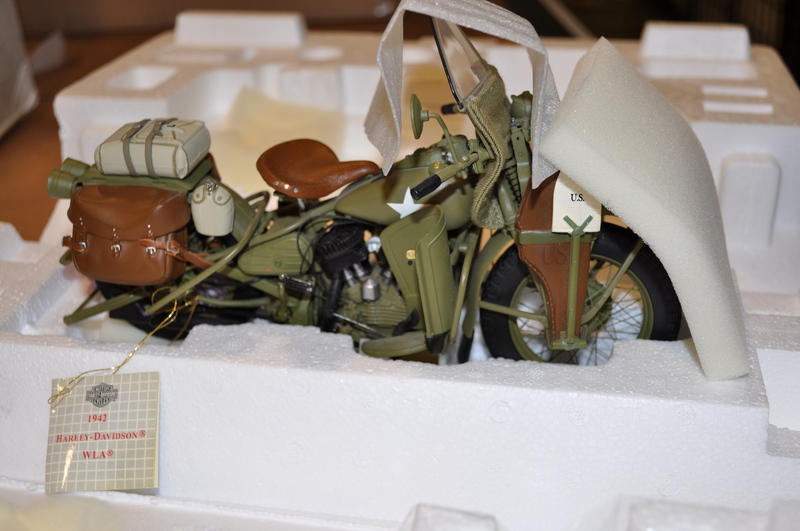 Matching 1:10 scale FM bikes available – please inquire.